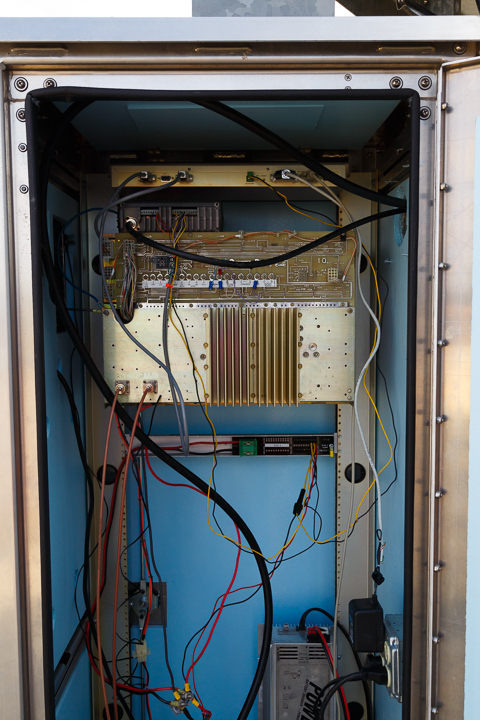 We have finished moving Newton 146.61 into it’s new location, and it is back on K-Link. 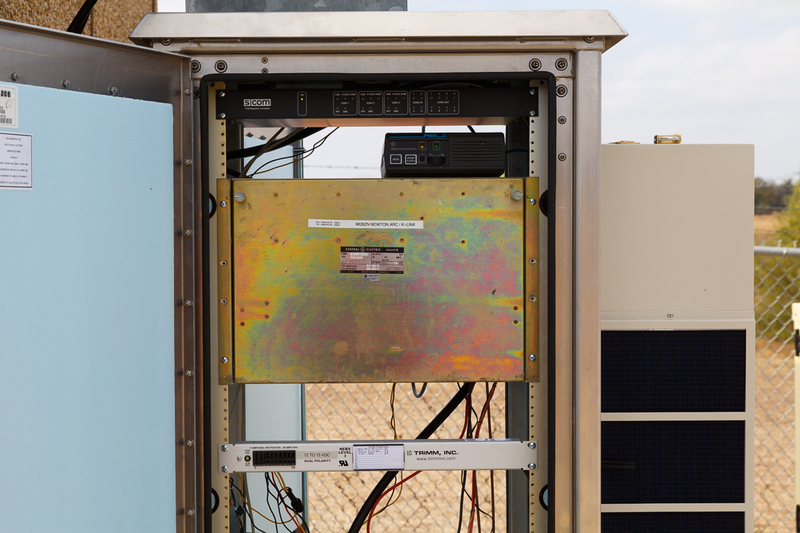 The duplexer tuning was optimized, the receiver pre-amp was put back online and the transmitter power was turned up to 60 watts (was 30). The increased sensitivity and power should allow better use of the repeater for mobiles in the Wichita area. 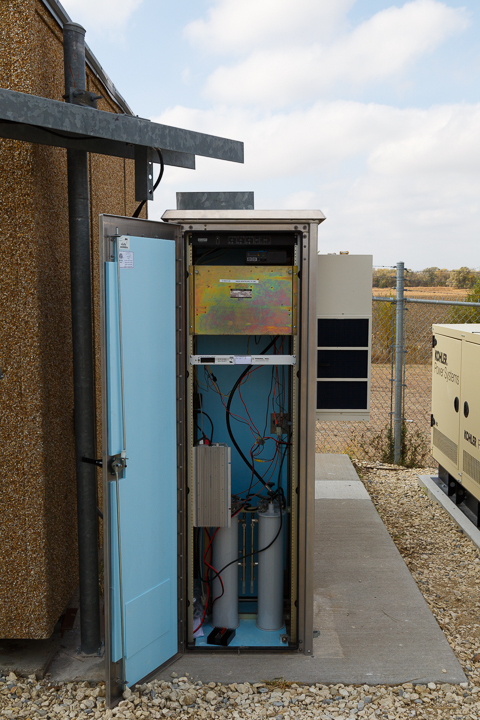 Pictured are the S-Com 7330, GE Phoenix-SX link radio, GE Mastr II repeater, and Trimm DC distribution panel. A view of the insulated cabinet with air conditioning/heat pump. A new ice bridge was installed to provide a sturdy cable entry path and to protect the cables. 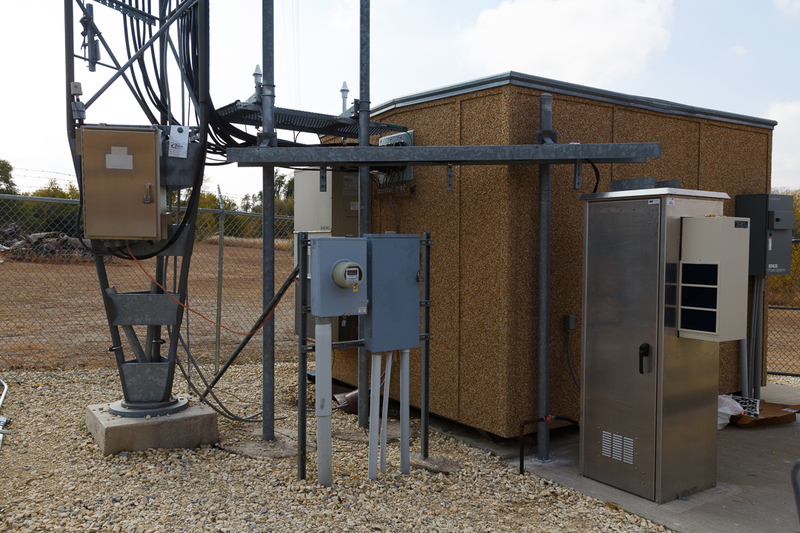 A rear view of the repeater equipment. Justin Reed - NV8Q on System Fusion or DMR? Doug Iversen, N6DJI on System Fusion or DMR? All content and images ©2019.